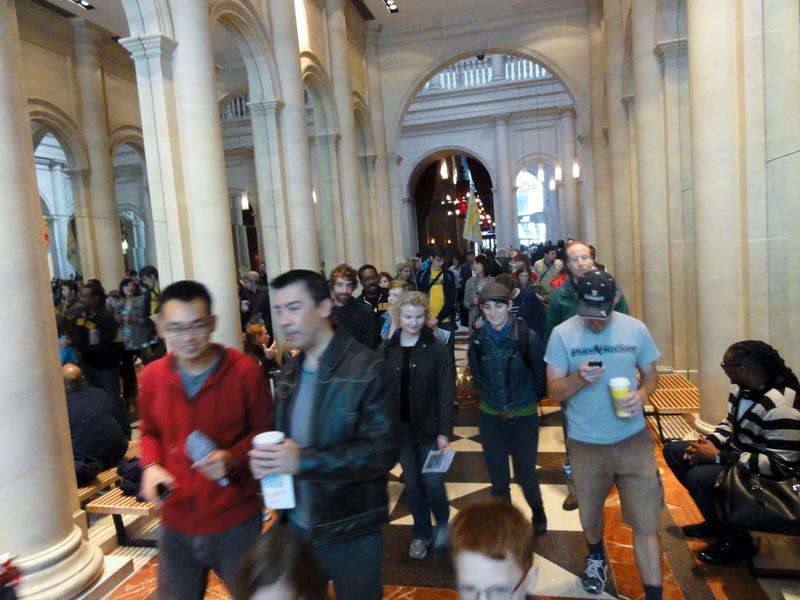 Having taken place in Midtown New York on Saturday, October 15, 2011, the Arcade Parade, was a free pedestrian tour through a series of little-known shortcuts composed of privately-owned public spaces that took place in conjunction with openhouse New York, an annual weekend of public events that allow free access to architecturally prominent sites throughout New York City. 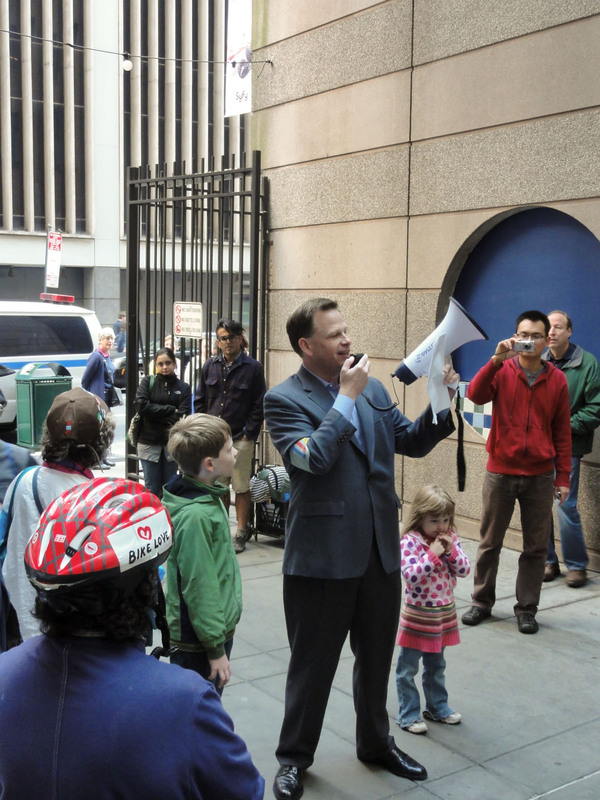 Together the Friends of Privately Owned Public Space team, including architects Brian Nesin and David Grider, plus the Hungry March Band, visual artist Christine Kelly, sound artists Simone & Claire Ghetti and over one hundred participants festively wandered through Midtown’s largest network of privately owned public spaces. 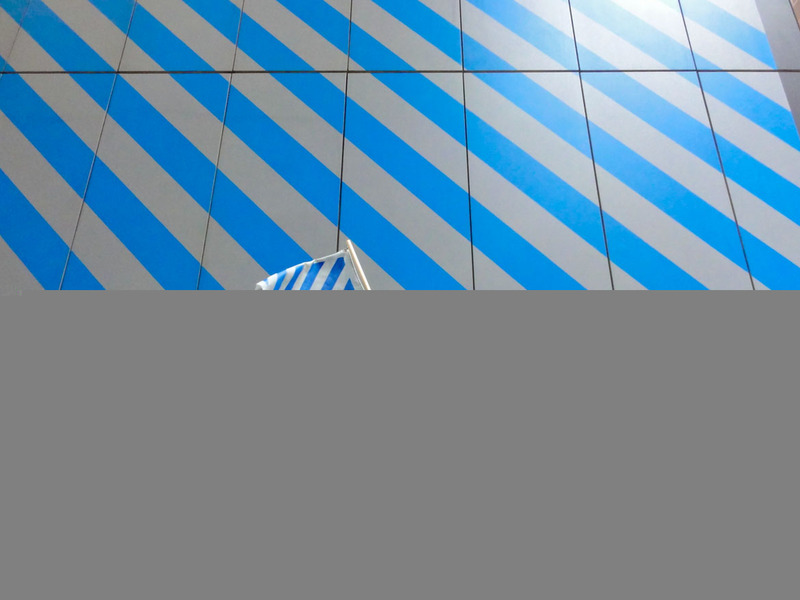 Under LeWitt stripes waving, the Arcade Parade fomented the Social Life of these Small Urban Spaces through festive music, critical observation, site-specific play and interventionist sound. 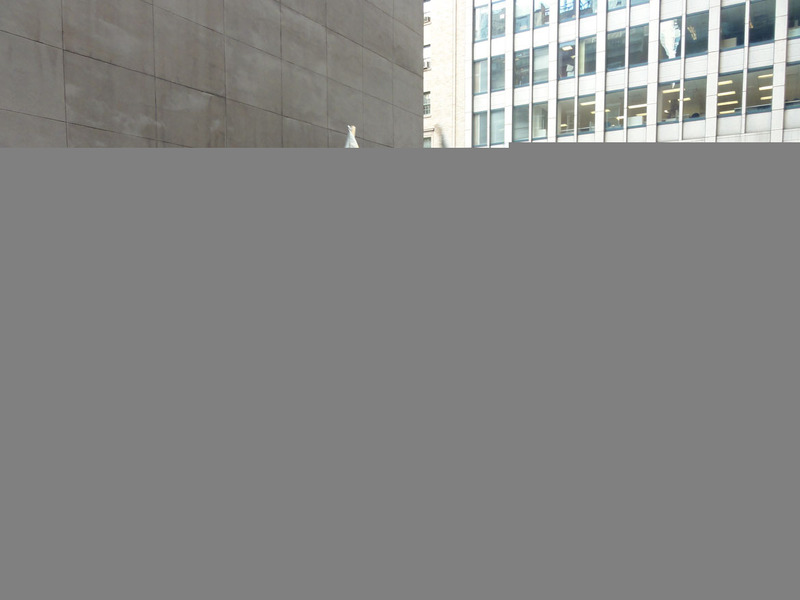 The Occupy Wall Street movement was happening concurrently in the city and millions of Americas were learning about the latent potential for democratic action in privately owned public spaces such as Zuccotti Park. Privately Owned Public Spaces, abbreviated as “POPS”, are street-level amenities provided and maintained by developers for public use, in exchange for additional floor area within the building above. 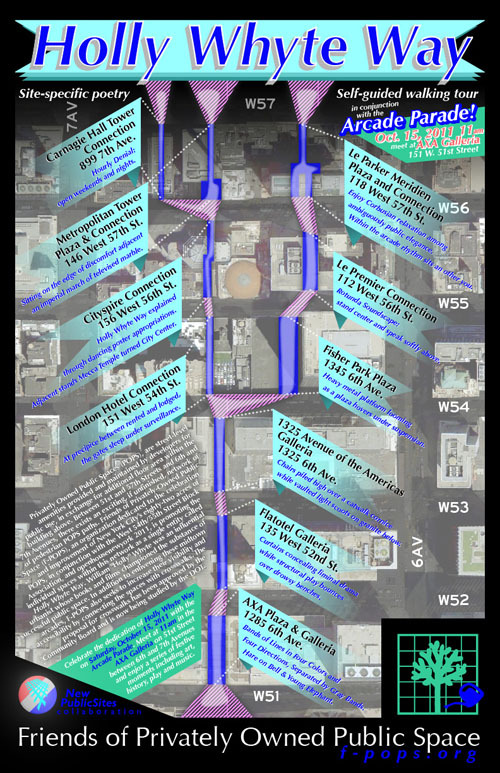 Between 51st and 57th Streets and 6th and 7th Avenues, there exists an exciting, if unfinished, network of pedestrian POPS paths. 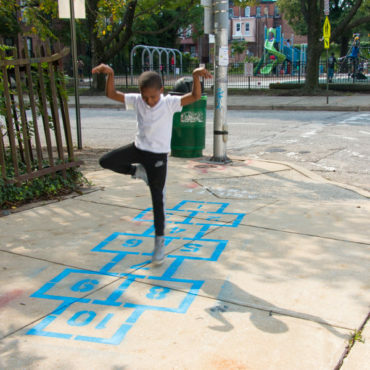 Friends of Privately Owned Public Space, also known as F-POPS, is an organization dedicated to the celebration and improvement of New York City’s 82 acres of POPS. 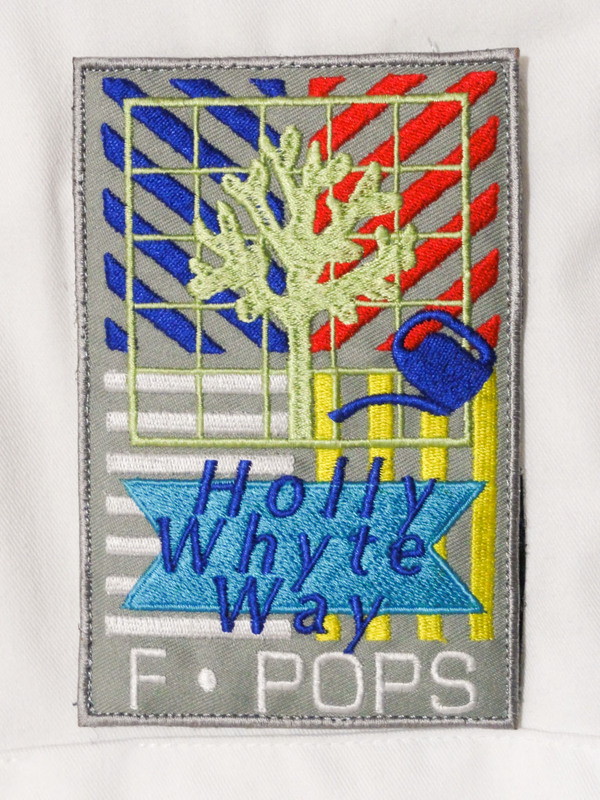 In conjunction with the West 54th/55th Street Block Association, F-POPS is promoting the individual spaces along the parade route as a single entity called Holly Whyte Way. 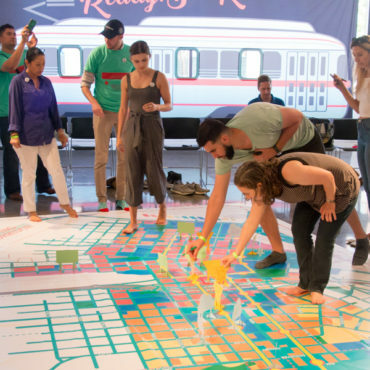 In addition to enlivening these midtown arcades, F-POPS also seeks to increase their visibility and accessibility by connecting the spaces with crosswalks. 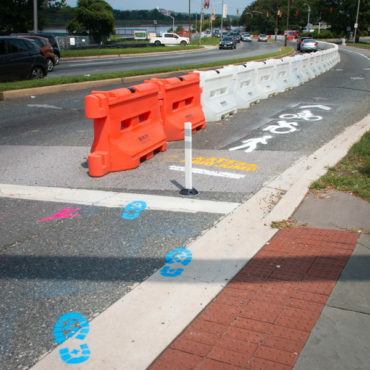 The proposal for crosswalks has been approved by the Community Board and is now being studied by the Department of Transportation. William Whyte, or “Holly”, as he was known, was an influential American urbanist whose extensive observation-based research championed the social and physical attributes of successful public space. His insightful and entertaining books and films such as City: Rediscovering the Center and The Social Life of Small Urban Spaces reshaped the thinking of planners, architects and public servants worldwide. 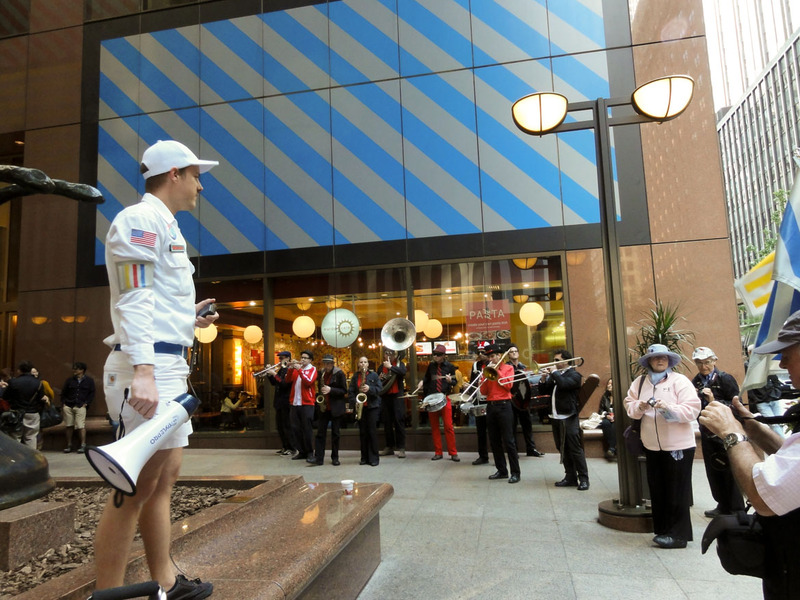 The Arcade Parade celebrated the dedication of Holly Whyte Way through a series of festive events along the nine-block route, including moments of art, history, play and music. Architects Brian Nesin and David Grider talked about how these plazas, gallerias and arcades came to be and why some of them work better than others. I marshaled the parade with hand-made flags, arm-banded volunteers and scores of free maps. 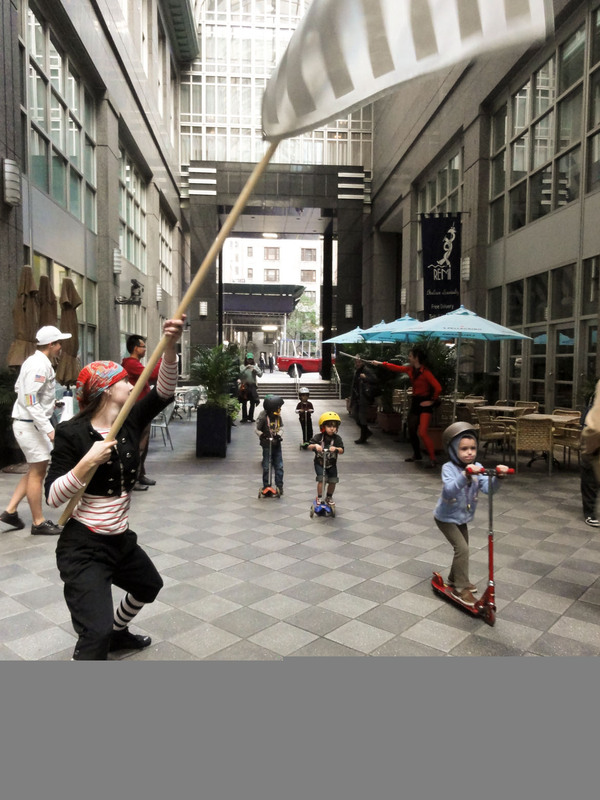 Artist Cristina Kelly inviting kids on scooters to playfully reclaim the galleria passing through 1325 Avenue of the Americas. 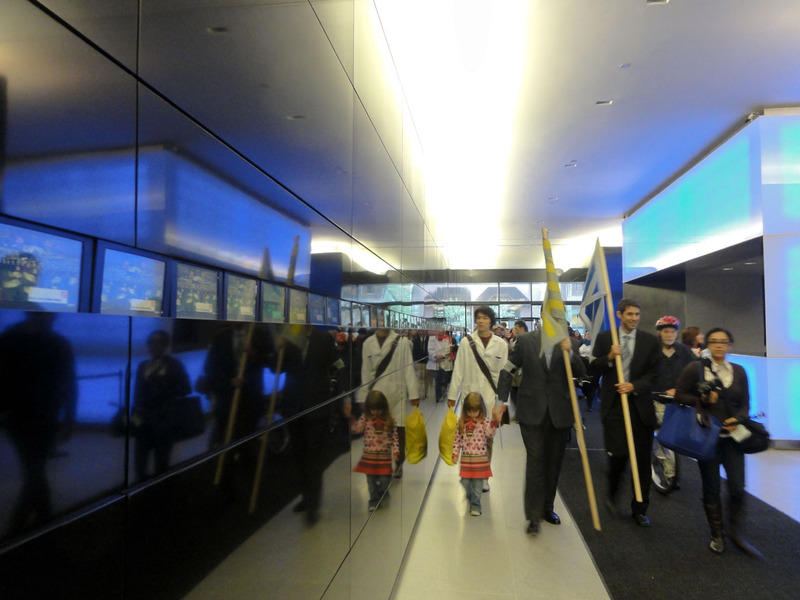 Simone & Claire Ghetti performed an interventionist sound piece within the lobby of the Le Premier condo. 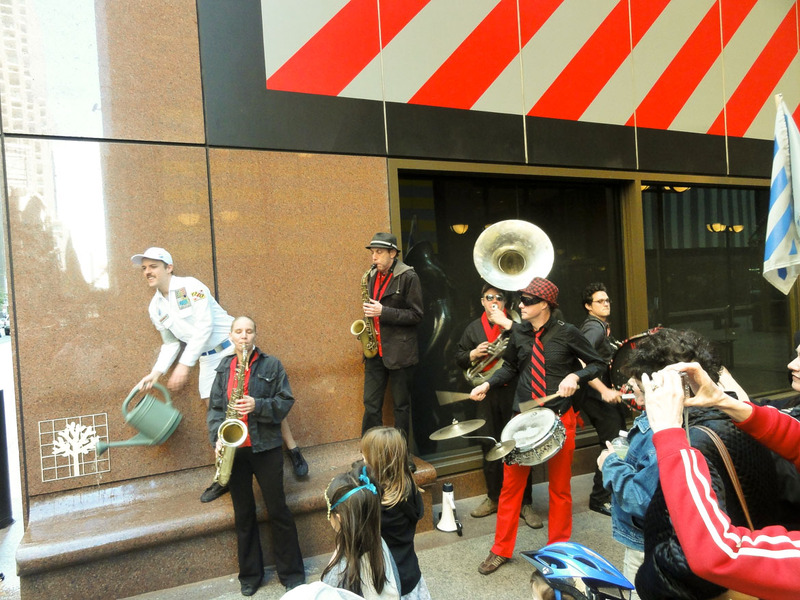 Meanwhile, NYC’s legendary anarchic brass ensemble, the Hungry March Band serenaded the entire celebration with their raucous jams. 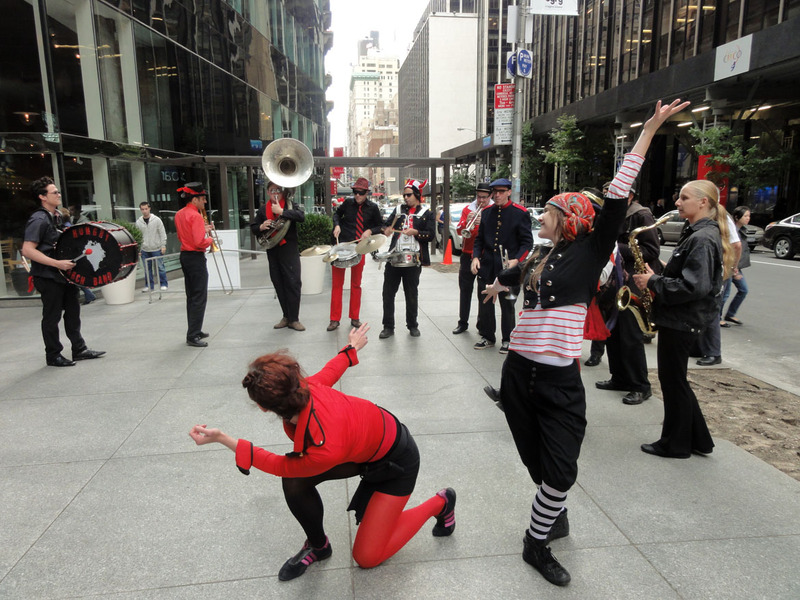 In the end, lovers of public space enjoyed an hour of architecture, performance, absurdity and joy. 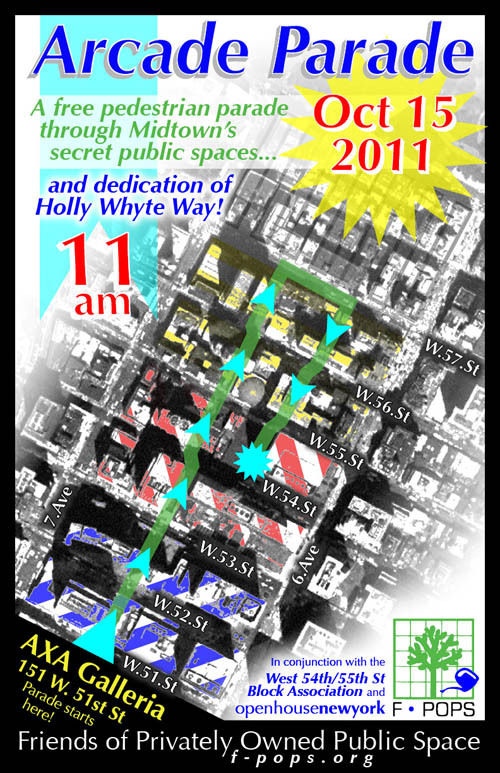 Through blocks played and plazas performed, Holly Whyte Way is now cemented as path and place. Special thanks to the 27 backers on kickstarter and the many other volunteers and supporters who helped make the Arcade Parade possible.